3D printing is like a piece of future in the present – the number and extent of applications are just staggering. Recently, researchers from Cornell University have reated an artificial ear using 3-D printing and injectable molds that works pretty much just like the real thing. 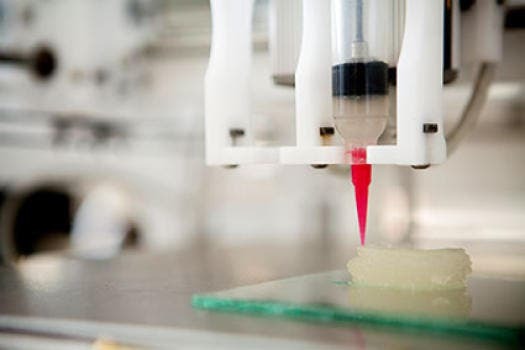 In a study published in PLOS One, Cornell bioengineers and physicians described how using 3-D printing and injectable gels, they created ears that are practically identical to a human ones. “This is such a win-win for both medicine and basic science, demonstrating what we can achieve when we work together,” said co-lead author Lawrence Bonassar, associate professor of biomedical engineering. “A bioengineered ear replacement like this would also help individuals who have lost part or all of their external ear in an accident or from cancer,” Spector said. To make the ears, they initially started out with a digitized 3-D image of a human subject’s ear, and converted the image into a digitized “solid” ear using a 3-D printer to assemble a mold; this is pretty much the standard technique with any 3D printing project. Then, they high-density gel is similar to the consistency of Jell-o when the mold is removed. The collagen served as a scaffold upon which cartilage could grow. The process was really fast. Spector and Bonassar have been collaborating on bioengineered human replacement parts since 2007, working specifically on replacing body parts. “Using human cells, specifically those from the same patient, would reduce any possibility of rejection,” Spector said. He added that the best time to place this will be on children, when they are approximately 6 years old.